SpiceJet Ltd the low-cost carrier will have to cancel over 20% of its daily flights if it does not reach an agreement with lessors for more aircraft by the end of March, a spokesperson for the company said on Saturday. SpiceJet, which was close to collapsing during December after it ran out of cash used to pay creditors, has a schedule of 280 daily flights starting next week. However, with a fleet currently of 17 Boeing 737 aircraft and 15 Bombardier Q400 aircraft, SpiceJet can fly only 218 flights daily, said a spokesperson on Friday. 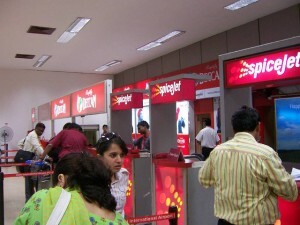 Indian courts in March ordered the aviation regulator in India to deregister 11 Boeing planes of SpiceJet following disputes with three of its lessors, but the discount airline was operating then as recently as Friday. The problems of the second biggest India budget carrier by share of the market, have underlined difficulties of operating in India, where travel by air is rapidly growing but tough competition and high costs have left many carriers unprofitable. A spokesperson for the company said that SpiceJet is currently in negotiations aimed at resolving the disputes it currently has with two of the aircraft lessors and to receive enough planes back in its fleet to allow it to meet its schedule for the summer. On Monday, the airline said one of its aircraft lessors agreed to withdraw the process of deregistration. Ajay Singh one of the co-founders of the discount airline, rescued the airline last December with a bailout of $240 million that he said put the airline on its road to recovery. SpiceJet had been forced to ground the fleet and to cancel hundreds of its scheduled flights during December prior to a rescue deal emerging, angering its passengers that were stranded during a busy period of the holiday.